Confocal microscopy is an optical imaging technique for fluorescent samples that increases the resolution as compared to traditional light microscopy. Confocal microscopy also allows for optical sectioning of the sample. 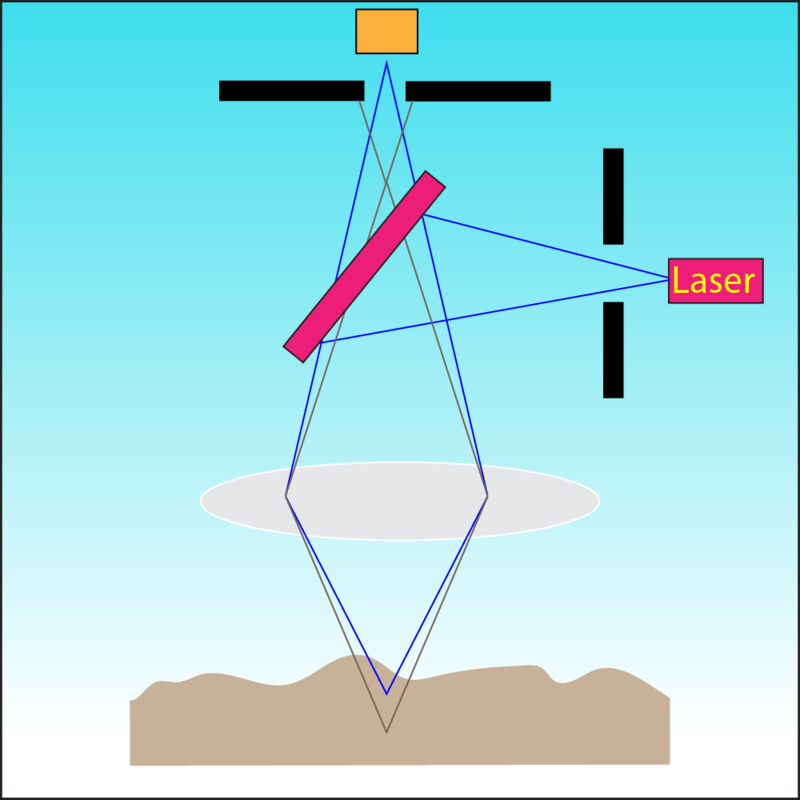 How it works – A laser is scanned across a sample surface and the resulting emitted light is passed through a pinhole, rejecting out of focus light. The intensity and position of the emitted light is recorded to make an image of the sample surface. A 3D image can be obtained by moving through z with optical sections. There are several types of confocal microscopes, including laser scanning and spinning disk. In laser scanning confocal, the laser is scanned across the sample surface using mirrors. With spinning disk confocal, multiple apertures are contained in a disk with can spin rapidly and illuminate the sample, allowing for faster scanning rates.